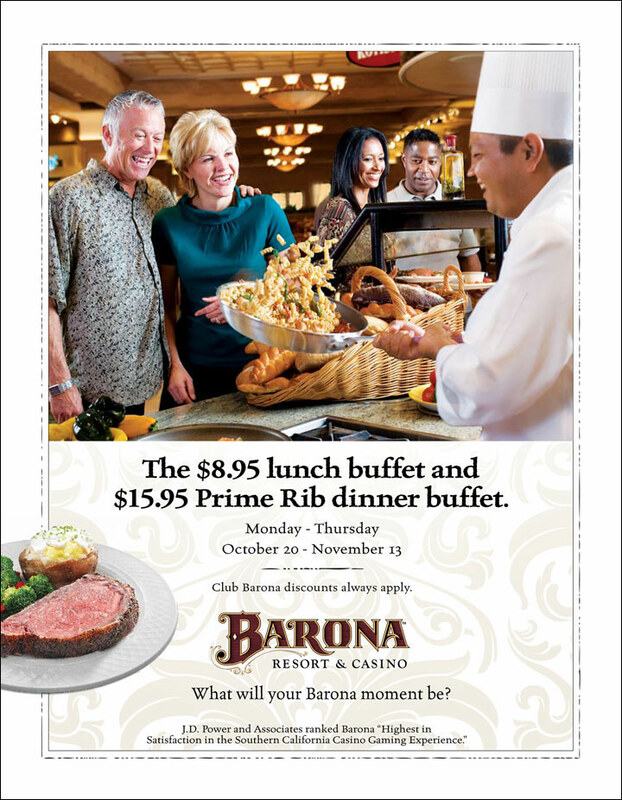 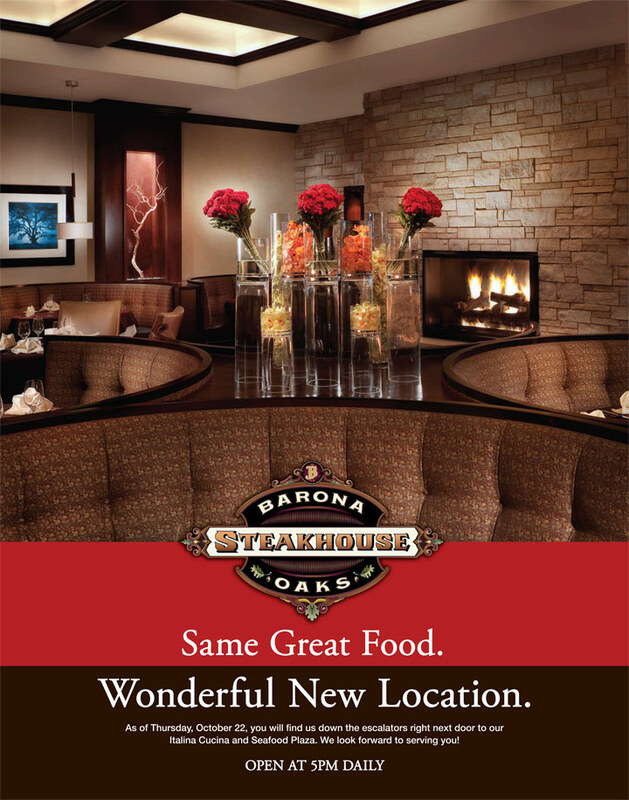 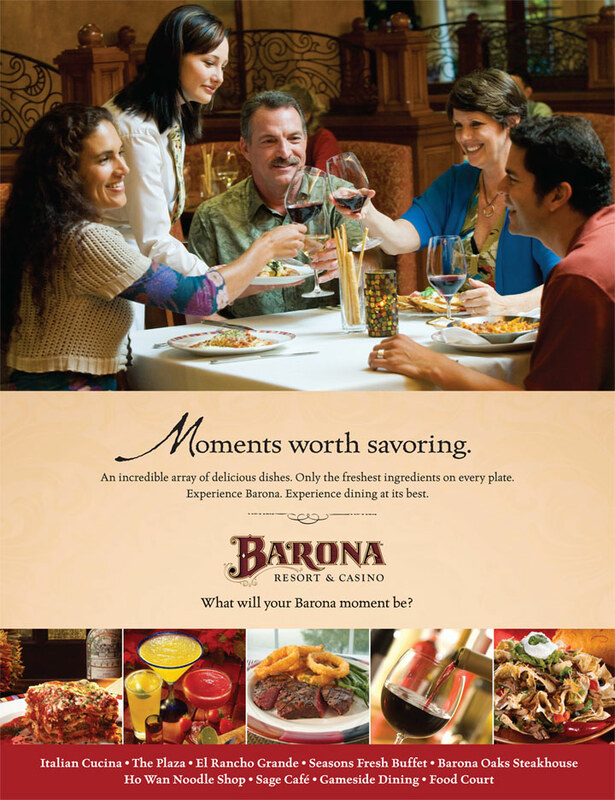 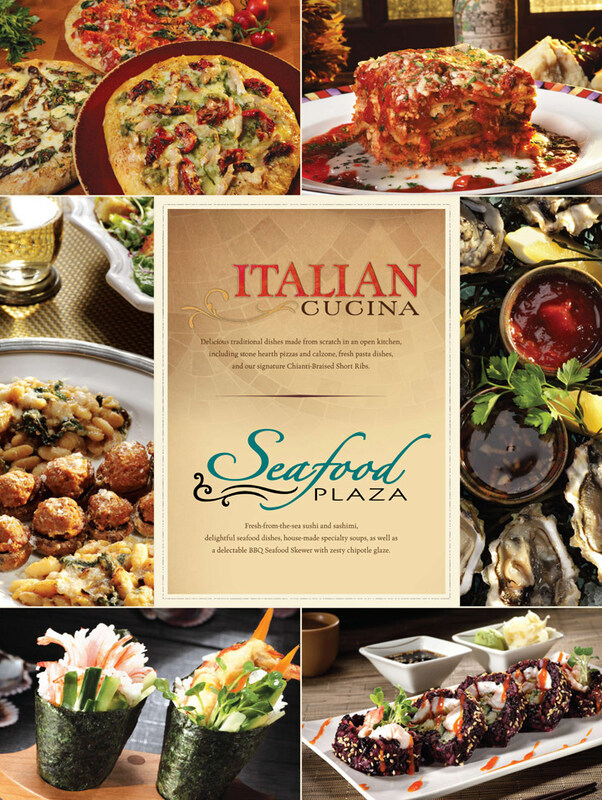 Marketing campaign to promote the fine quality of dining available to players at Barona Casino. 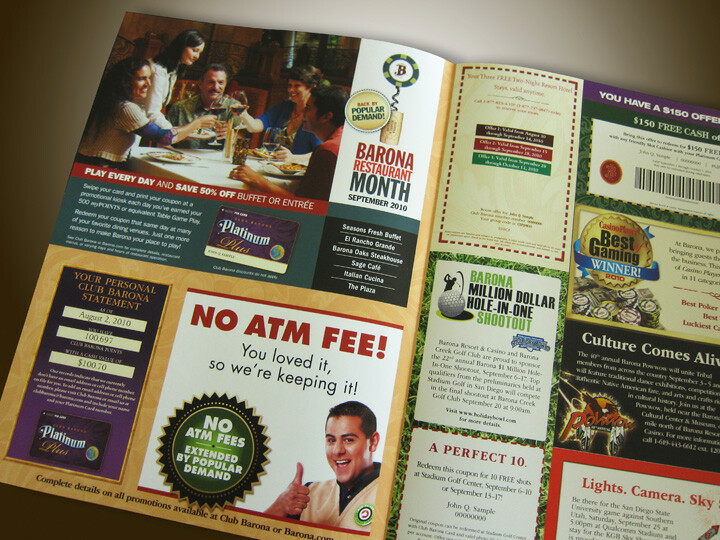 Campaign included print, direct mail, outdoor, TV and web. 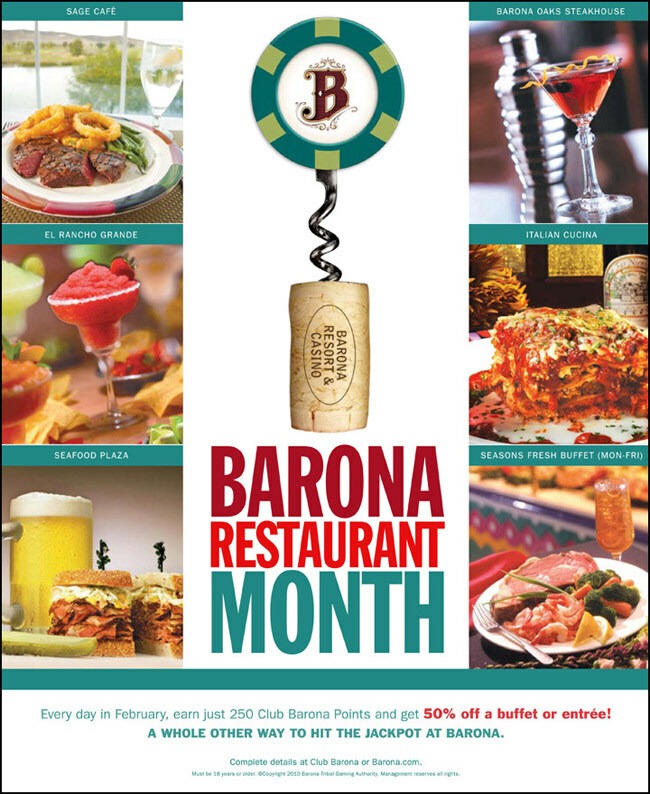 Restaurant promotion campaign design to increase awareness in the local market and entice players to choose Barona over local casino competitors.